Goombas are pretty much at the bottom of the food chain in the Mushroom Kingdom—it never takes much to kill them in a Mario game. But there’s one particular Goomba in Super Mario 64 that can’t be defeated, no matter how good your platforming skills are. This post originally appeared 8/8/14. 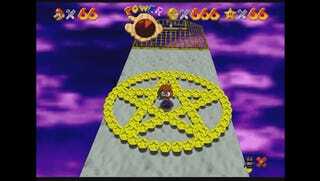 Fun fact: Super Mario 64 loads groups of Goombas in a triangle formation. This is a constant: when you see three Gombas in a level, the game spawned them in a triangle formation. Simple, right? ...or so it appeared, anyway. The community dubbed it the Mystery Goomba. What makes the Mystery Goomba story interesting is that pannenkoek2012 became committed to finding and, if possible, actually killing this this particular Goomba. I mean, think about it. 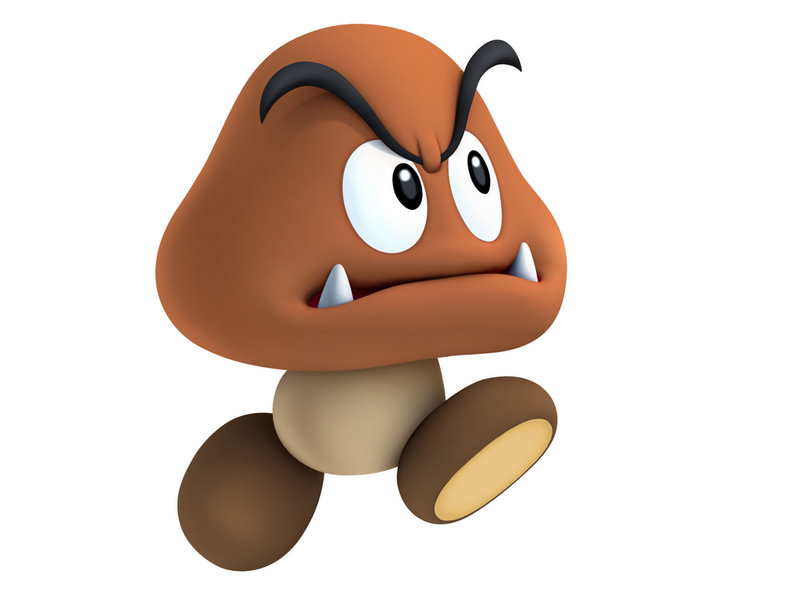 Prior to April of this year, nobody knew this Goomba existed. That is to say: in the 18 years since Super Mario 64 has been out, nobody has ever killed this particular Goomba before. It’s easy to understand why suddenly destroying a measly Goomba would become enticing. The first method shown is the “instant descent” technique, which allows Mario to teleport to the nearest surface beneath him. Unfortunately, Mario can never use this method in the appropriate spot, as getting anywhere near the Goomba’s spawn radius makes the Goomba fall to its death. Bummer! The second method involves putting something underneath the Goomba, so that it never has the chance to fall down. Nothing on the stage can be placed in the right spot, though. Even when pannenkoek2012 decided to use a glitch to clone items underneath the Goomba with the hope they’d break the Goomba’s fall, it didn’t help. Either the game won’t let the Goomba stand on the surface of the cloned item, or it makes the entire object intangible. No good! The third method doesn’t try to move you or the Goomba anywhere, but rather toys with the idea of attacking the Goomba remotely with a Bob-omb. Unfortunately, if Mario ever is too far away from a Bob-omb, the Bo-omb won’t explode. Even using a glitch to try to detonate a Bo-omb from afar won’t help in this case, as Mario needs to be close to the explosive for it to detonate—and the entire problem is that Mario can’t get close to the Goomba in the first place! The final and most hilarious method which pannenkoek2012 tests involves a sacrificial Luigi. Interestingly, using this multiplayer hack, the Goomba can actually live past a single frame. This means Luigi can get so close to it, the game renders a fully-formed Goomba—not just a brown smudge on the screen—that you can actually see. And yet, there’s still a problem: the Goomba spawns so far down, the player always hits a death barrier whenever he or she tries to jump on top of the Goomba. The Mystery Goomba exists in a place literally beyond a wall of death, where nobody can ever harm it—even if we use hacks. Amazing, right? Not even Satanic rituals can kill this Goomba. Trust me, pannenkoek2012 has tried. And so the Super Mario 64 community has gained another white whale after the acquisition of the so-called Impossible Coin. Right now, the chances of anyone ever killing the Mystery Goomba seem slim—but hey, the Impossible Coin wasn’t supposed to be attainable, either. Perhaps someday, the Mystery Goomba will be killed.